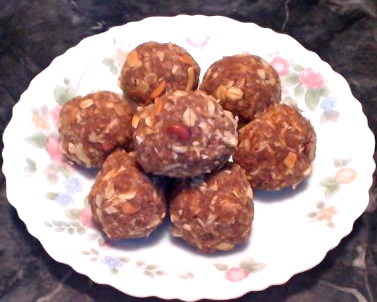 Besan Laddu is a healthy kind of Indian festive sweet. 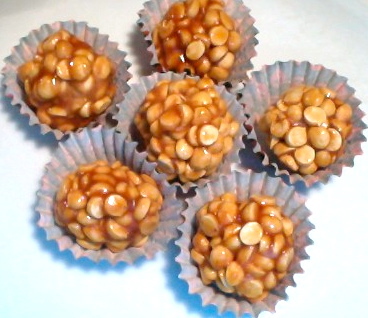 In my recipe I am using jaggery instead of white sugar. It is not only delicious, but it is nutritious too. You can eat another one without guilt. Break the cashews into small bits. Remove the cardamom seeds from the pods and crush them finely. In a thick bottom pan, melt the ghee or butter on medium heat. When it is melted add cashew bits and fry until they turn very light brown. Then add besan to the pan and keep stirring continuously. If the pan gets too hot, lower the flame for a while so that besan won't burn. In between scrape the edges of the pan. When the besan starts changing color slightly, switch off the flame and transfer the mixture into another bowl. While the mixture is still hot add jaggery and cardamom powder and mix it well without any lumps with a spatula. Take a small portion of the mixture into your hand and roll it into a round ball. To make the besan laddu look pretty, dip at one corner of laddu in butter or ghee and again dip in little cardamom powder. 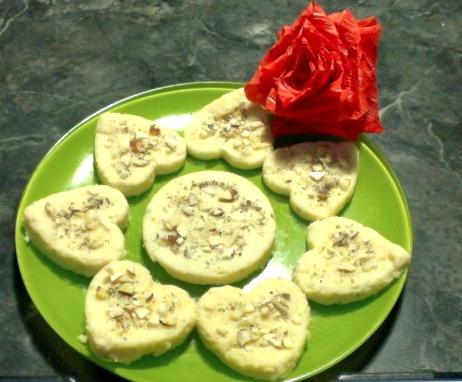 Besan laddus are ready. Serve them as a dessert or as a tea time snack. Use laddu besan for this recipe. 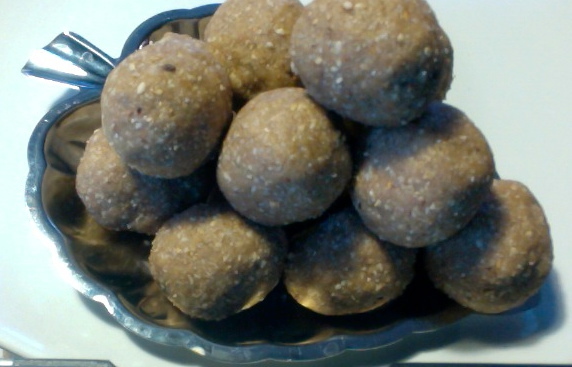 Laddu besan is coarse which is good for besan laddu. 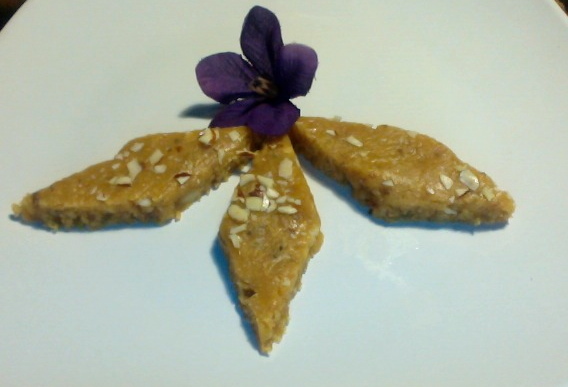 If you have to use regular besan which is very fine, use a table spoon of semolina which makes it coarse. For 1 cup of besan use 1 tbsp of sooji.